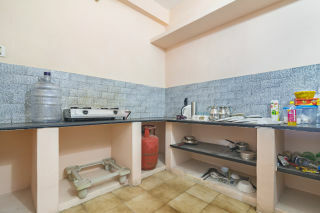 Located just 1.3 km away from Rock Beach, this is an offering of a two-bedroom apartment. 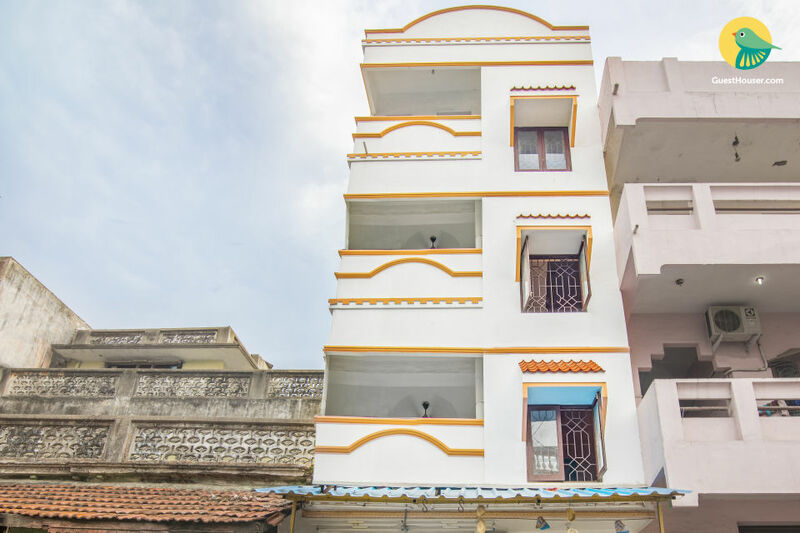 The apartment can accommodate up to six people, and is ideal for a backpacking group. Breakfast is provided on request. 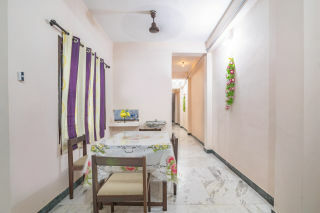 Your Space This apartment is furnished to ensure you have a pleasurable stay while visiting town. It houses a four-seat dinette and a television in the dining room for mealtime convenience. 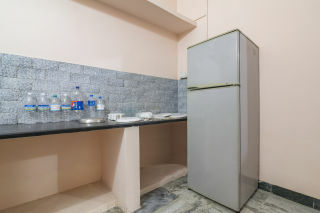 A gas hob, cooking utensils, and a refrigerator are provided in the kitchen, so you can whip up a quick meal at any time of the day! 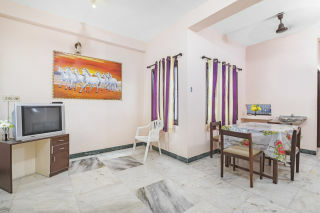 The bedrooms are each furnished with a plush double bed, and a spacious wardrobe. The master bedroom boasts a flat-screen television, thereby ensuring you can watch your favourite shows even while on holiday. 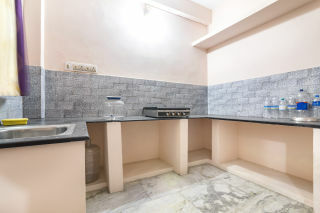 The en suite washrooms are tiled and appointed with western sanitary ware. The property balcony with cane coffee seating is the perfect space to savour a cuppa in fresh air. A pleasing stay with good ambiance, highly recommended for budget travellers and a nice host who gives good guidance about the places. Cooking facility and given services were like surprise, and they listen to all our requests. 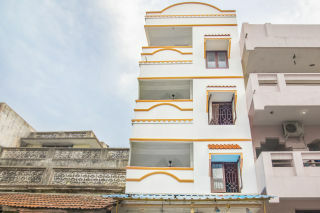 2 Bedroom Apartment in Pondicherry, just 2 Kms from Botanical Garden.